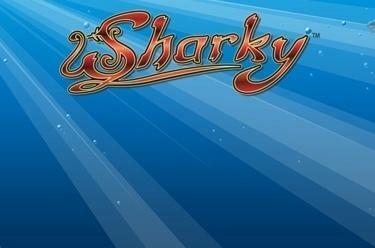 Play Sharky™ online for free now! Arr! With Sharky™ you're a dreaded pirate on the prowl in the Caribbean. Set sail and steer your ship towards the winnings - the compass will show you the way! 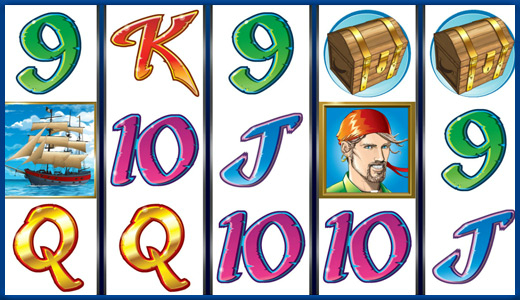 In the regular game you roam on up to 9 win lines across 5 reels looking for pirate gold. Additional features open up truly legendary treasures you for. Your aim is to land 5 matching symbols along an active win line. All win lines run in different patterns along the reels from left to right. To win you have to land several identical symbols from the left side by side on a line without interruption. The Pirate substitutes all symbols except for Scatter. If the Ship lands on reel 1 and the Island on reel 5, you win 10 free spins. You win 10 Free Games if you sight a ship on the first reel and an island on the fifth reel. This means 'winnings ahead' for the next 10 (stake free) rounds. You automatically play with the settings of your last regular game round and you win additional Free Games with the Ship/Island combo. If a ship appears in the Free Game a new boat will be lowered into the water on reel 1. The boat replaces all the symbols except for the island, the ship and the compass. All boats which have been lowered into the water move from left to right across the reels in the Free Game and increase your chances of winning. They can be stopped by a shark. If a boat touches a treasure chest you get a random win.